Smithsonian Puts Spotlight on "Pioneers of Flight"
Amelia Earhart was, of course, a famous pilot and pioneer for women. Her time as a fashion designer, though, usually isn't something people remember about the woman who disappeared in 1937. The National Air and Space Museum has added such details as it overhauled one of its original galleries on the "Pioneers of Flight" to go beyond the facts and figures about historic airplanes. The gallery opens Friday. Curator Dorothy Cochrane said it's a chance to highlight the personalities of pilots who were as famous as movie stars. Earhart's red Lockheed Vega airplane is the gallery's centerpiece. 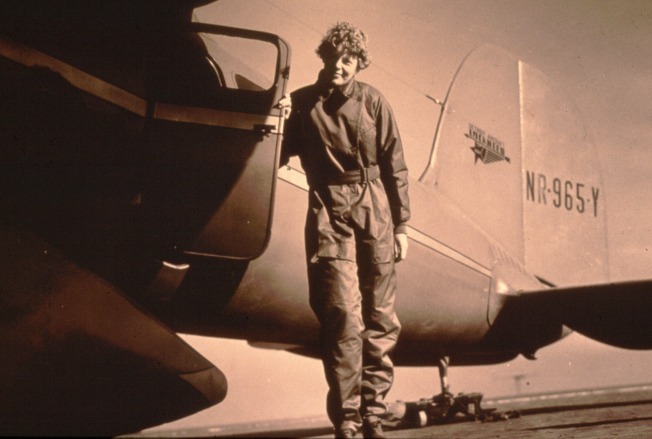 It's ringed by objects from her life, including a jacket she designed for women aviators. Also on view for the first time are Charles Lindbergh's radio receiver and snow shoes, among other items.